I love this dish. The color is so pretty. 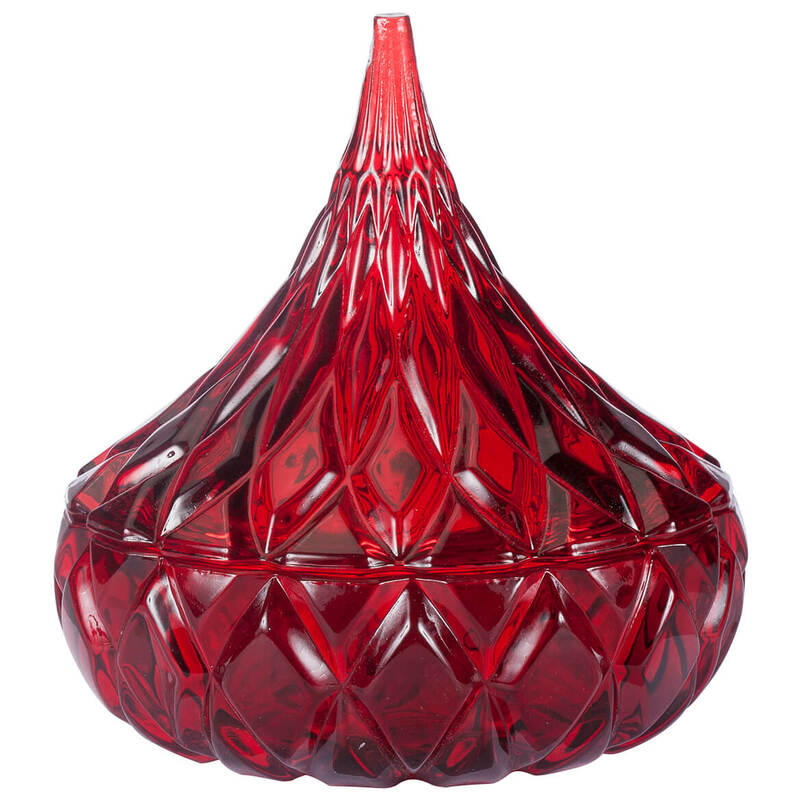 It looks like the ruby red that Anchor Hocking used to make. Perfect gift for my friend to put all his kisses in. My friend and I have been exchanging "kisses" for at least 30 years now. 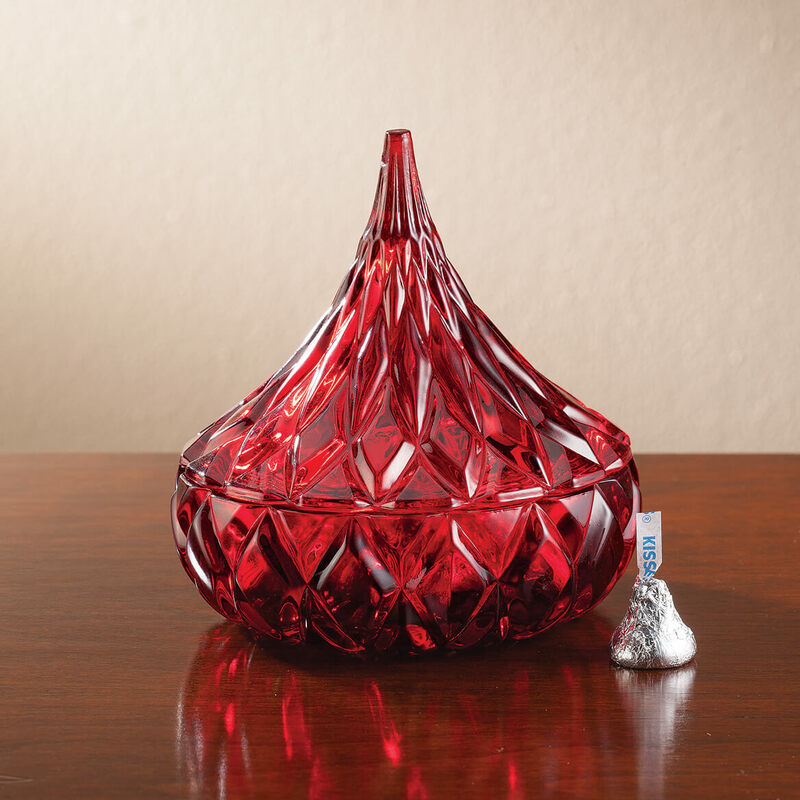 Was so thrilled to find this beautiful crystal actual Hersey Kiss dish for him. I know it will go over big with his wife too...it blends well with their living room decor. They are beautiful n make great gifts. I HAVE THIS ONE IN WHITE I LOVE IT AND EVERY YEAR I ORDER YOUR CHRISTMAS CARDS EVERYONE LOVES THEM. can i get the dish in clear or white? BEST ANSWER: Thank you for your question. Unfortunately no it only comes in red. We hope this information will be of help to you.